Clay face masks are wonderful for removing excess oil, contaminants, and dead skin. Today we are going to make a clay mask. 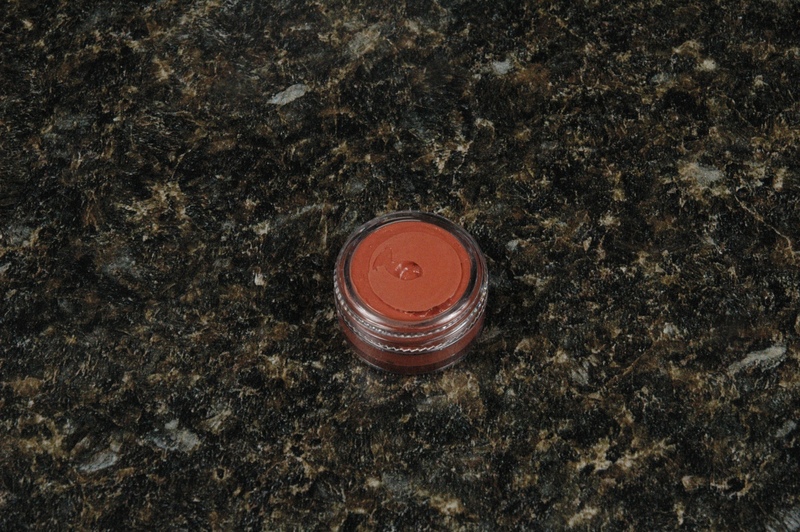 Weigh ingredients into your container except the clay, preservative and essential oil. 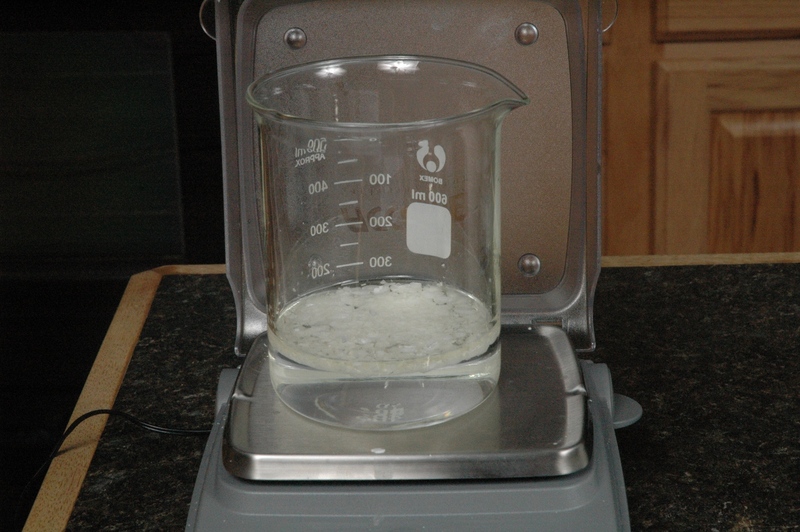 Microwave for short bursts of time until the oils are melted. Mix ingredients together thoroughly and let cool until thickened. Add clay, preservative and essential oil, then stir. You may need a rubber scraper to scrape the sides of your container. Once everything is mixed together, fill your containers and then enjoy a relaxing time! This clay mask is not as drying as most and will work well for most skin types. If you have extremely oily skin, try a different mask recipe, without additional oils. I’ll give a quick one tomorrow. Whoops! I forgot to mention that this mask will be in the Mother’s Day Gift Baskets! Don’t forget to enter the drawing! All ingredients except clay, preservative, and essential oil. Mixed ingredients after 45 seconds in the microwave. Ingredients after they have cooled. 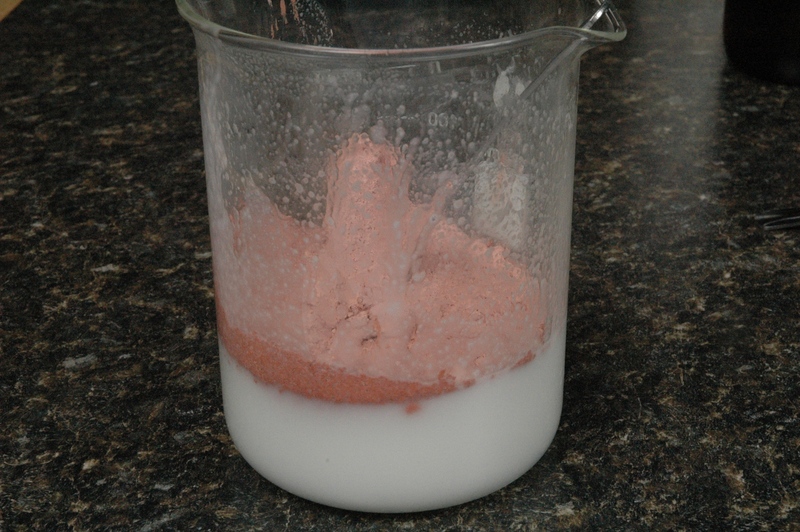 Pink Kaolin clay on top over preservative and essential oil. I love the way this mask looks in the jar. What size of jar is that. It looks so small, like a lip balm jar. It is the Baby Lip Balm Jar, which is the size I’m going to send out samples of the mask. I have every thing for this recipe on hand except the Steric Acid. How important to the final product is the Steric Acid and is there something that could be substituted for it? 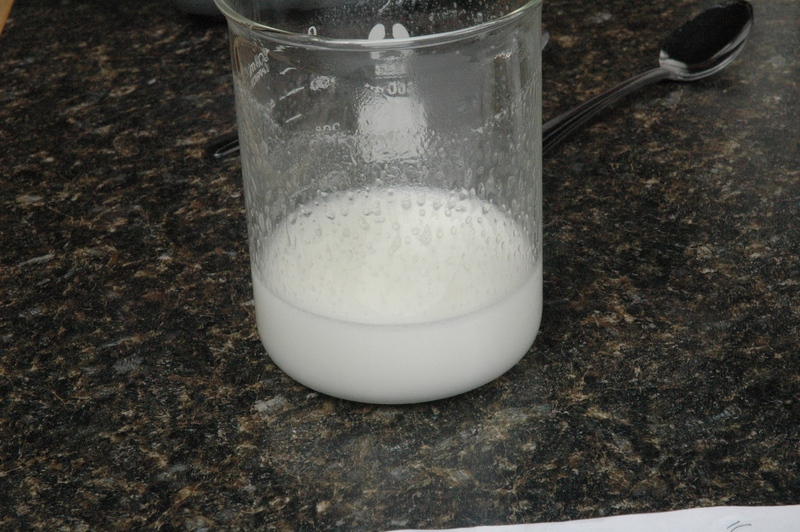 Stearic acid, in this formulation, is a thickening agent. Without it the feel will be softer, and less creamy. 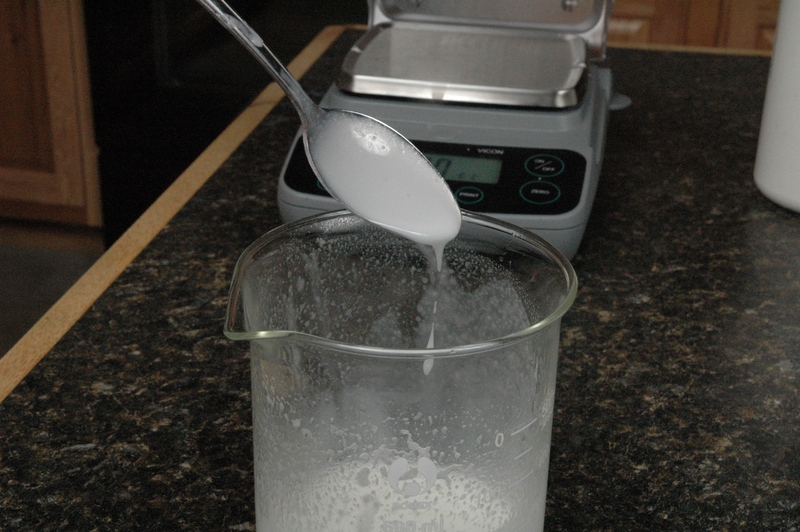 If you must make it tonight, without stearic acid, look for cocoa butter or soy wax on your shelf as a substitution. This must be the sample you sent with my order. I can’t wait to try it. Also, my daughter loves mud masks. I am sure I will have to share it with her, and probably will have to make some for us. Thanks. I think you will enjoy this mud mask. 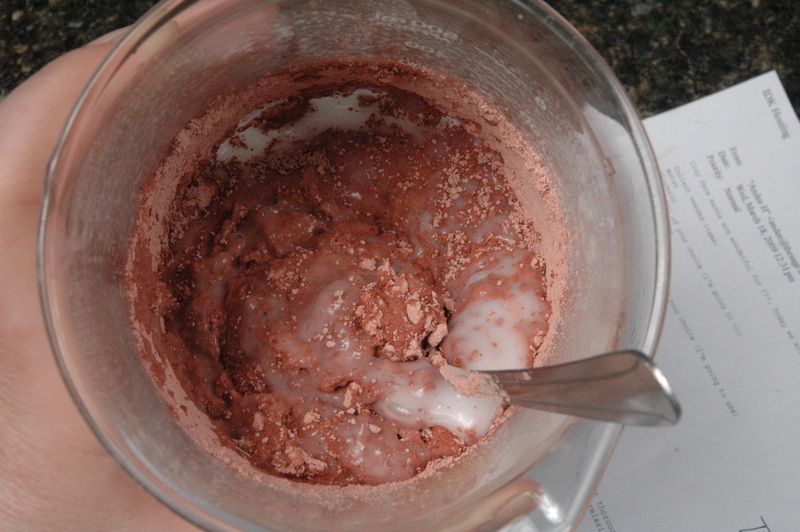 Some of the people I know like mud masks and they really like this recipe. This mask is great! The Lemongrass EO is amazing! Didn’t really think I’d like it, I’m not a fan of Lemon scents, but WOW! have some in stock for myself! These jars are 2 oz jars that I use specifically for blog samples. At this time, we do not offer these jars. It would depend on you. Do you want to show off the Clay Mask or just have a faint hint of the color? Do you want to stay with a 2 oz jar or do you want a larger jar? Personally, I would stay with a 2 oz jar because I think that is a great size for personal use. If a jar is bigger, I feel that I should share with someone! If you are going to use either the Red Moroccan Clay, the French Green Clay or the Pink Kaolin, then I would recommend the 2 oz Clear PET Low Profile Jars to showcase the beautiful color of the clay. If you don’t want to have a clear jar, then I would recommend either the 2 oz Frosted Round Base Jars or the 2 oz Frosted Straight Base Jars. I would choose a black lid for any of these options, because I’m of the opinion that black lids make any jar or bottle look classy. One thing that you can do to impress the gals in your family with your awesome craftiness is to bring a kit like one of our Lip Solutions Kits and all the gals can take over the kitchen and make lip balm that everyone can take home. You can show how awesome making bath & body products can be and maybe create some junkies yourself! and Tangerine. Oh and Lavender 40/42, and Eucalyptus. Would any ofthose go with the Lemongrass, to add a slightly different scent for each of them? Or should I just do straight Lemongrass. Oops, I got a slight problem, my scale doesn’t weight .05 grams. Any idea what that would be in ML using the plastic dropper? I know that the Lemongrass works well with Eucalyptus. As far as the others, I’m not sure if they would work together or not, but I would put a few drops of Lemongrass and another essential oil on a piece of paper and see if they smell good together. Mix and blend! Maybe you will come up with a yummy blend that you wouldn’t have thought of before. My scale doesn’t have a .05 gram readability either. I can’t find my notes on how many drops of Lemongrass it took to make that .05 grams. Count the drops it takes to make .1 grams and then just divide that in half. Don’t worry about it. People just make math look harder than it really is than most of the time. I made this over the weekend. Awesome 😉 Looks so cute in the low profile jars with black lids! I don’t think I put in enough scent but I think it’ll do. Tripled the recipe and it made 4 – 2oz jar fulls. I really can’t wait for my family to try all this stuff out I’m making! Okay I know I have been posting like crazy in here but there is so much I am eager to learn. Sooo anyways does this have a shelf life? And thanks for all your helpful info. It’s been greatly appreciated! 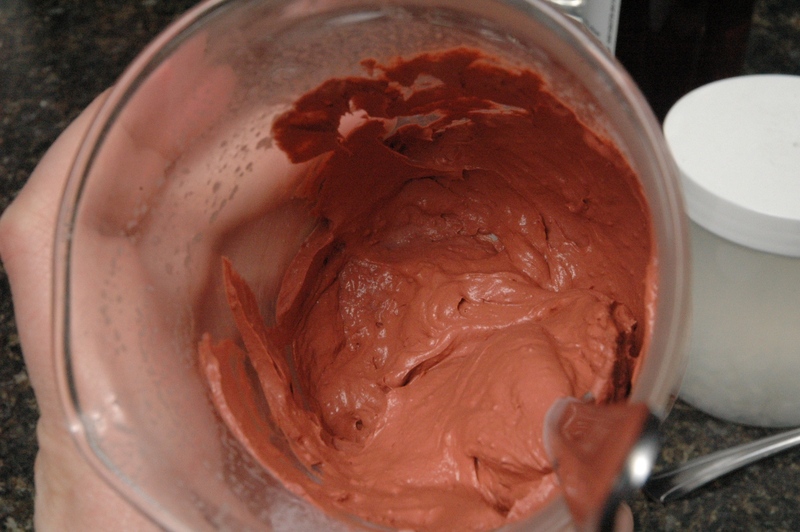 Try using the clay mask within 1 week of making, unless a preservative is added. Oh thank you. What preserative would you suggest in this? Isn’t Liquid Germall Plus one? Liquid Germall Plus is a good preservative for a face mask. Here are the percentages for this recipe. I hope this helps! You can use Optiphen in the recipe. The Hydrovance is a humectant. This means it helps the skin retain water, keeping it soft and supple. Another humectant you could use is Glycerin. Glycerin is just heavier and stickier than Hydrovance. How long is the pre mixed mask good for after adding the preservatives? I would try to use it up in three months or so. Wow.. interested in learning about more recipes. I also make cosmetic products & keen to learn more. We have piles of recipes here on the blog. 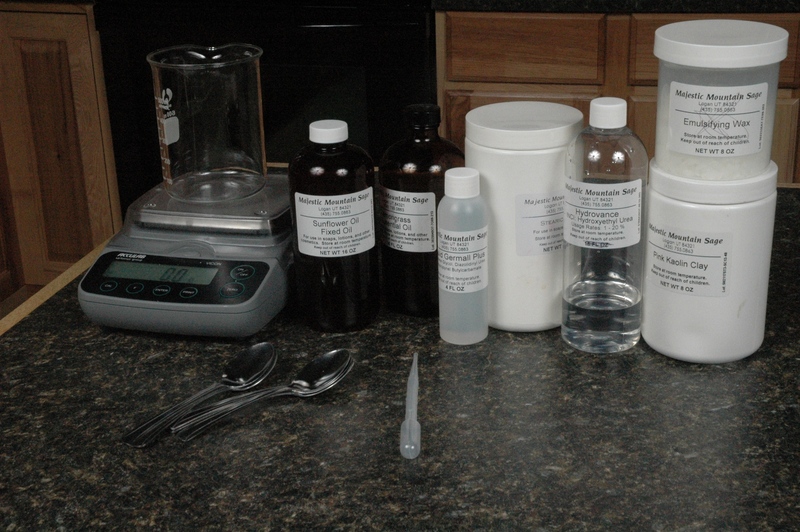 If there is anything you want to make, let us know and we’ll help formulate a recipe or find one for you!